Volleyball players/actresses Aðalbjorg Arnadottir (outside hitter) and Ylfa Áskelsdottir (middle blocker) make up the duo Díó. 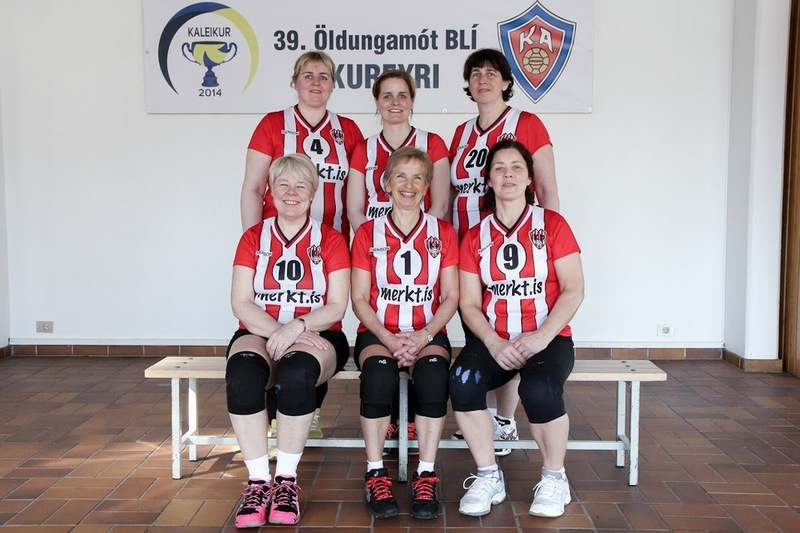 5 years ago they stepped into the idiosyncratic, complex world of Icelandic adult volleyball. After dozens of competitions around the country, plenty of medals, drama and injury, they are eager to invite you to join them for an evening of volleyball. It's Volleyball Hallelujah is a performance which takes its script and structure from the movement score of an adult volleyball final. Throughout the research phase, the performers have conducted numerous interviews, while documenting their own careers as rising stars within the world of adult volleyball. The piece is performed, devised and directed by the two actresses in collaboration with four other performance-based artists who have assisted with dramaturgy, text, scenography and movements. Dio consists of Aðalbjorg Arnadottir and Ylfa Osp Áskelsdottir who for the past eight years have worked together as part of performance group 16 Lovers. This is their first time working as a duo. Aðalbjörg graduated from the acting program at the Iceland Academy of the Arts in 2005. She has performed with the City Theater of Reykjavík, Akureyri Theatre Company and with various independent groups. She has also appeared on TV shows, radio plays and films. She is a founding member of The Professional Amateurs theatre group. and a producer and founding member of the theatre group Sodid svid. Aðalbjörg has worked as an independent theatremaker in collaboration with groups such as Kviss Búmm bang. Ylfa Ösp Áskelsdóttir graduated from the Film and Theatre School Holberg in Copenhagen in spring 2007. After graduation she joined the performance group 16 lovers and has appeared in most of their works. Ylfa graduated with a B.Ed. as a grade school teacher from the University of Iceland in 2011. She works as a teacher of drama in Hlíðaskóli and the College of Garðabær.